Tis the end of August and what an August it has been! Thanks to so many for your excitement about the new CTMH products! Very glad to have new team members, too! Welcome aboard! Close To My Heart really hit it out of the park again, didn’t they!?! 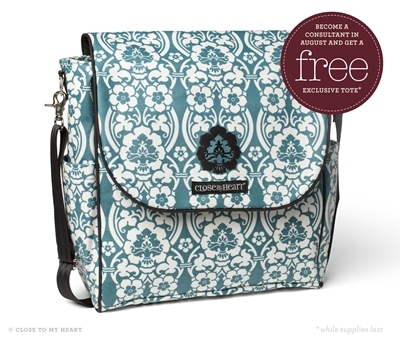 Today is the last day to get this adorable sturdy denim bag as a freebie when you become a CTMH Consultant! Kit and bag-doodle only $49! Just go to http://funn.ctmh.com/ and surprise me! You may want to pick up on the Stamp of the Month special, too, before it changes tomorrow – and what a CUTE September stamp set! BTW, the September 12-hour FUNN Cropp is full. Thinking about the next one….maybe November? Finish your August with a little FUNN – order something for your fall memories!